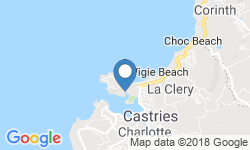 Captain Mike’s Charters is the longest running sports fishing company in St. Lucia. This family business has been ruling the waves for over 50 years. Join them and learn from the wisdom that can only come from decades of experience. 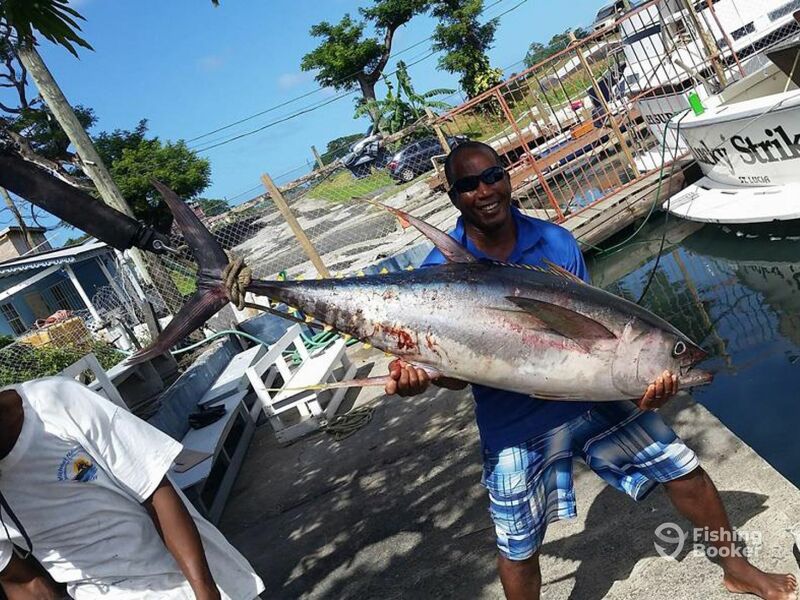 Captain Bruce Hackshaw is the owner of the company and is one of the top anglers on the island, having won the International Billfish Trophy a record 7 times, as well as tournaments in Antigua, Grenada, Tobago and Martinique. His passion and enthusiasm for fishing shows though in every part of his life. Fish with his crew and become infected with that passion, too. Lucky Strike is Bruce’s pride and joy. A fully refitted 46’ Bertram, she combines a touch of luxury with strength and versatility to be the ultimate fish catching machine. 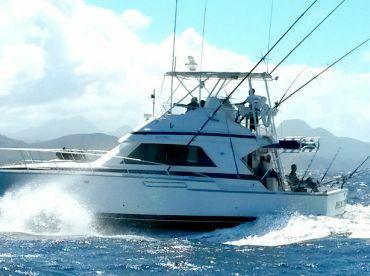 She’s fully equipped with top notch sportfishing gear, including outriggers, a fighting chair, and Penn and Shimano fishing gear. At the same time, she features all the personal comforts you could hope for, including two heads (bathrooms), a shower, and a multimedia system. 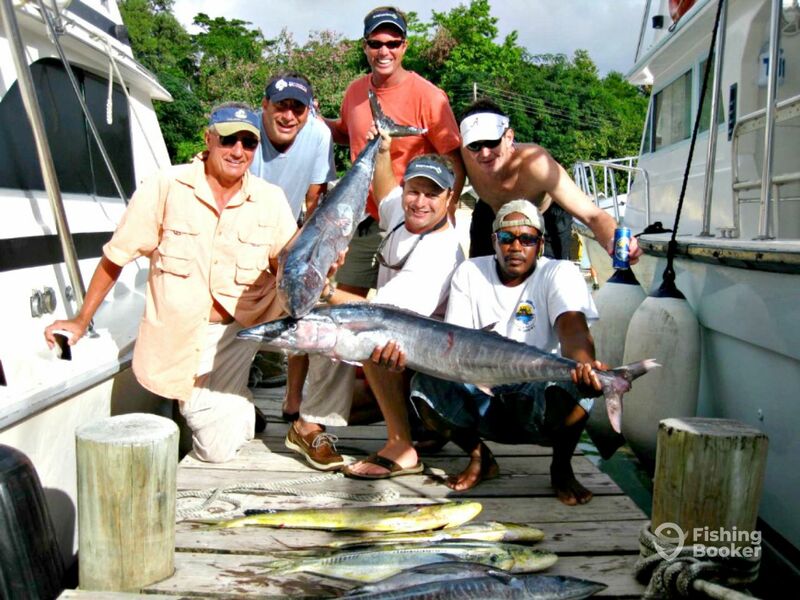 During your trip, you will be fishing the deep blue waters of the eastern Caribbean Sea. 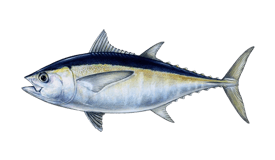 This is a hot spot for Blue and White Marlin, Sailfish, Mahi Mahi, Wahoo, and Tuna, among many other deep sea fish. All the gear you need to catch them is supplied on board, and a first mate will be there to assist you through every stage of your trip. On the off chance that you want to relax between bites, Lucky Strike’s beautifully finished and air conditioned interior is the perfect place to do so. We have a feeling you’ll be spending more time wrestling fish on the deck, though! At the end of the trip, the catch will be shared between you and the crew. If you want to take some fillets with you to a local restaurant, the team at Captain Mike’s will help prepare them for you. 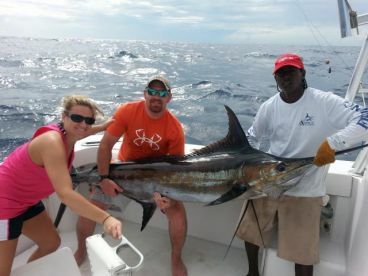 If you’ve always wanted to go sportfishing like a pro, this is your chance. Make your vacation extra special this year aboard the Lucky Strike with Captain Mike’s! 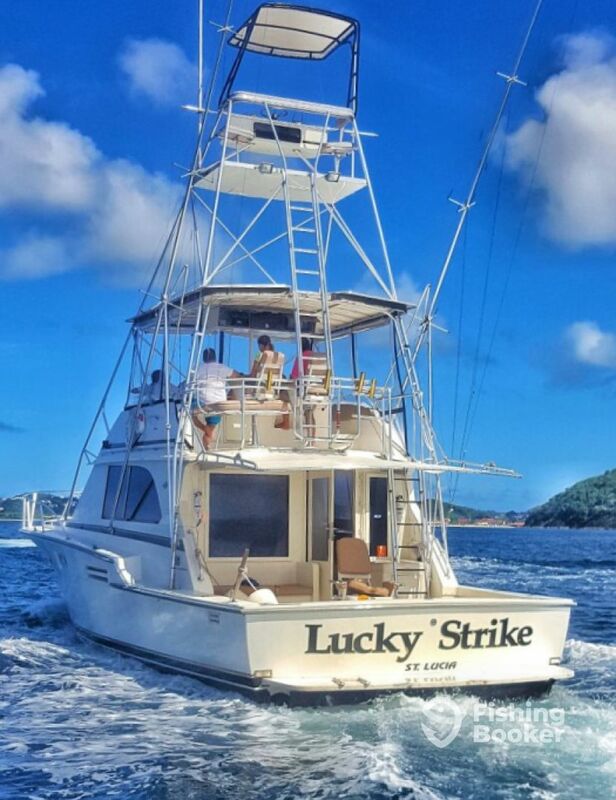 If you want to make the most of your Saint Lucia fishing experience, take a full 8 hour trip aboard the Lucky Strike. 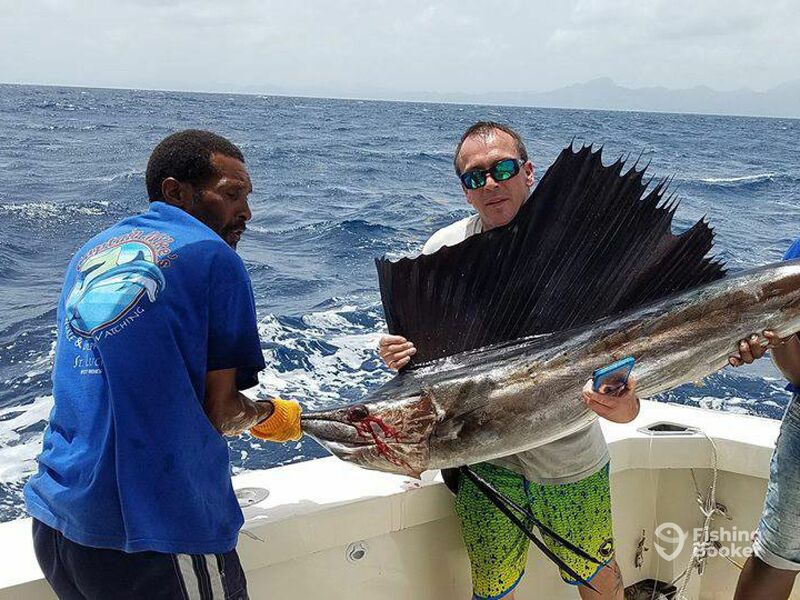 With world-class big game fishing starting just 3 miles from shore, this will give you time to explore a variety of different areas as you target deep sea fish. 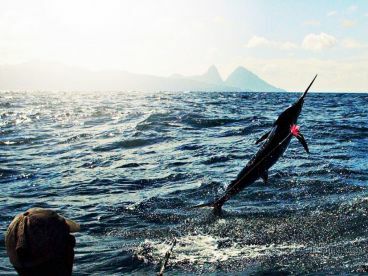 Marlin, Tuna, Sailfish, Mahi Mahi, and Wahoo are just some of the fish you could catch on this trip! 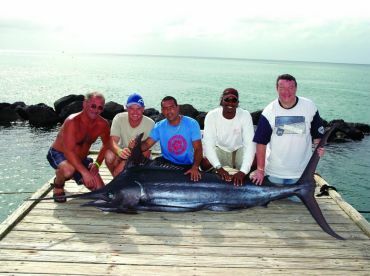 A 6 hour trip will give you time to perfect your fishing skills and explore a few more areas out of Saint Lucia. 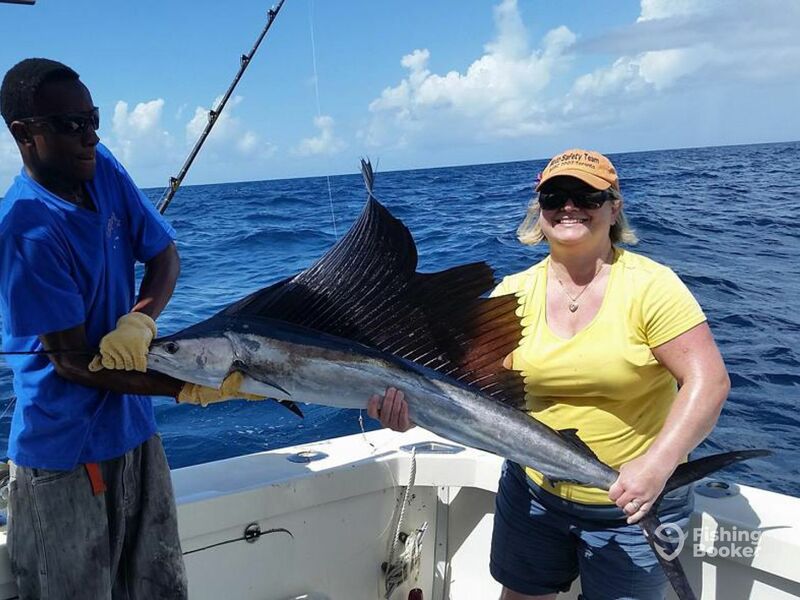 With target species including Yellowfin and Blackfin Tuna, Wahoo, Mahi Mahi, and maybe even Marlin, you'll want an extra couple of hours so everyone can have a go at catching fish! Have a go at catching your own lunch aboard the Lucky Strike! This morning trip will get you out in the deep seas, which start just 3 miles from shore. 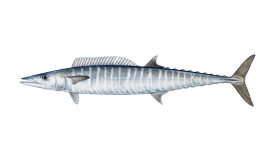 This will give you time to target a variety of deep sea fish, such as Mahi Mahi, Tuna, Wahoo, and much more. 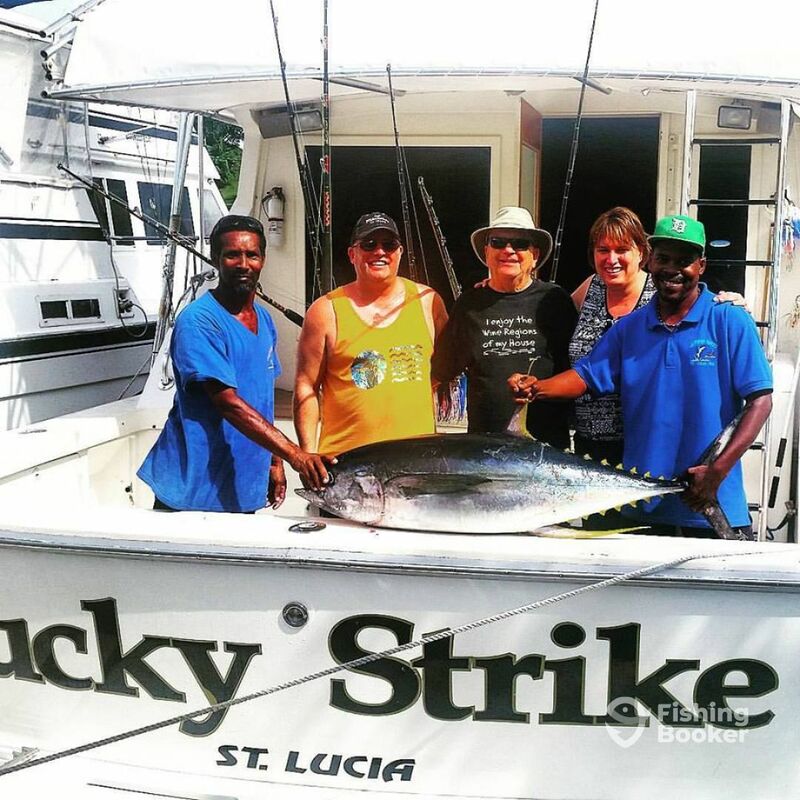 This 4 hour trip will help you experience the quality of fishing Saint Lucia has to offer. 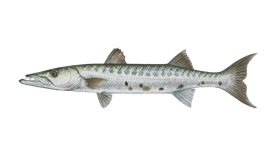 With the best fishing starting just 3 miles from the shore, you'll have time to see what a professional big game fishing operation really looks like. 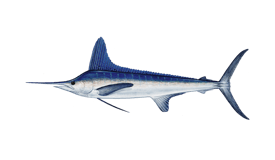 Potential catches include Sailfish, Mahi Mahi, Tuna, and much more. Bertram (Flybridge) originally built in 1986, and restored in 2013. 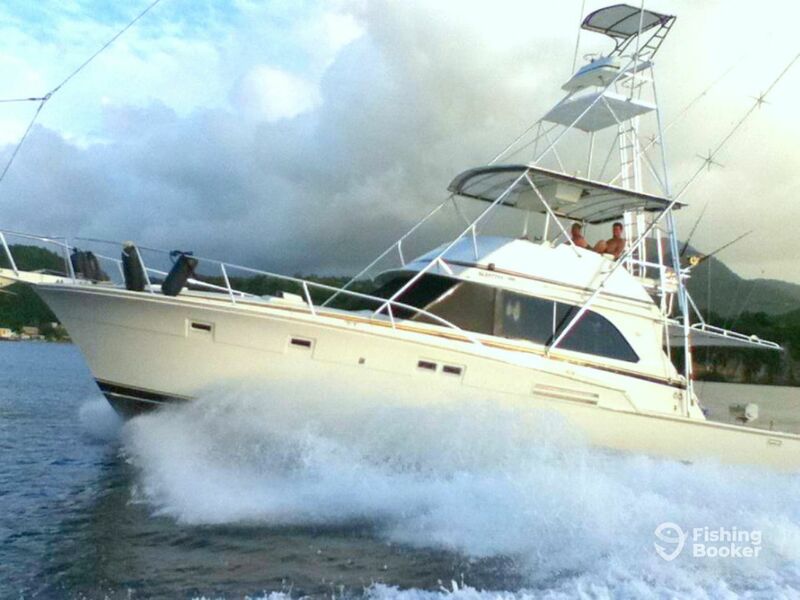 Powered by 2 630HP Detroit Diesel engines, with a maximum cruising speed of 24 knots.